Toronto, ON – October 4, 2017 – Sierra Metals Inc. (TSX: SMT) (BVL: SMT) (NYSE American: SMTS) (“Sierra Metals” or “the Company”) is pleased to announce the initial results of the drilling program designed to test the anomalies of the Titan 24 Geophysical Survey recently completed on the Bolivar Property, Chihuahua, Mexico. The Titan 24 survey was completed to follow up on geophysical, geological and geochemical anomalies identified on the Bolivar Property by Sierra Metals Inc. 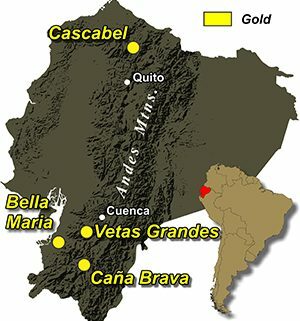 The Bolivar Property is situated within the Piedras Verdes Mining District, which is located within the major north-northwest trending Sierra Madre Precious Metals Belt extending across the states of Chihuahua, Durango and Sonora in northwestern Mexico. Visit Quantec at PERUMIN, Booth 633. 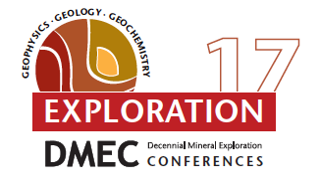 Today we are seeing that the mining industry is focusing on deep exploration. Quantec Geoscience offers true 3D DCIP & MT (ORION 3D) acquisition through multi-directional set up. Generally conventional DCIP technologies collect data in two dimensions and invert it in 3D, which is not as accurate as ORION 3D multi-directional array data collection. The aim of this work is to show how ORION 3D technology measures three parameters for effective mapping of mineralization, alteration, structure and geology to depth (2 km) and obtaining high quality data from an environment in which data acquisition tasks and survey operations are challenging. Charcas historical case is summarized here to give an idea of some of the benefits of performing an ORION 3D survey at San Luis de Potosi mining district, Mexico. 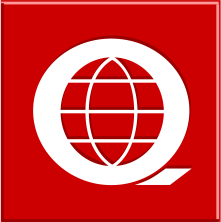 http://quantecgeo.com/wp-content/uploads/2017/09/Peru-logo.png 200 700 Webmaster http://quantecgeo.com/wp-content/uploads/2017/02/qu1.png Webmaster2017-09-14 17:10:402017-09-14 17:17:38Visit Quantec at PERUMIN, Booth 633. Ground magnetic survey results over Cascabel concession reveal exciting targets. Exceptionally high-quality product produced from 650km of total field data acquired at line spacing of 50m. The planned Spartan-Orion hybrid induced polarisation survey will enable the direct detection and modelling of sulphides in 3D to in excess of 3km. This survey can be combined with existing drill-hole logs to construct improved 3D constrained geographical models. The increased sensitivity of the Spartan-Orion hybrid survey will allow for the production of improved structural and geological rock-type and mineralization maps. Quantec is pleased to have launched its new Website. The new site provides easy access to information about Quantec, Quantec’s industry leading technologies and our vast experience helping companies in the exploration business. The most comprehensive imaging available today, for best practice drill planning to 1000 metres.